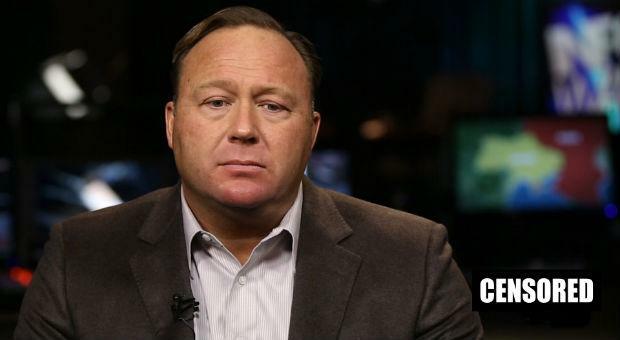 Update: According to Bloomberg, the Alex Jones Channel Page, the Alex Jones Page, the InfoWars Page and the Infowars Nightly News Page “have been unpublished for repeated violations of community standards and accumulating too many strikes,” Facebook says in statement. Apple has completely removed five of Infowars' six podcasts from its iTunes and Podcast apps under their hate speech guidelines, reports BuzzFeed News - including the daily Alex Jones podcast and the show "War Room" - in "one of the largest enforcement actions intended to curb conspiratorial news content by a technology company to date." "Apple does not tolerate hate speech, and we have clear guidelines that creators and developers must follow to ensure we provide a safe environment for all of our users," a company spokesperson told BuzzFeed. So while they are not exactly free speech advocates, it is useful to observe how simple it is for today's online media giants and global distributors of discourse to incite a modern-day book burning simply by labeling speech as hateful. As of Sunday night, the only remaining podcast linked to Infowars is a daily news recap show called "Real News With David Knight," however it's not clear why it was spared the "axe of cleansing." Commenting on the action, Infowars' Paul Joseph Watson said that "according to Apple, if you don’t respect people with different views, you will be banned. Does this mean it is necessary to respect people who advocate child marriage and honor killings simply to have a platform?" He also reported that Infowars has now also been permanently banned by Facebook.